Final Fantasy XIII is a good game with a lot of flaws. Mostly, the only thing people talk about are it’s flaws. I still think it holds up as a fun experience and a well-made game. It’s a milestone in the visual capabilities of the series, but the muddy storytelling of director Motomu Toriyama is somewhat notorious for being completely incomprehensible. Whenever one plot-hole appears, Toriyama just distracts you from it by pulling out a new plot-hole, until finally you finish Lightning Returns and think, “Well I guess all those plotholes are filled now that the universe has been reborn. Oh well.” This is not excellent storytelling. As such, here are some ideas that have brewed in my mind for a while, which I think would have vastly improved Final Fantasy XIII. Personally, I sometimes like to pretend that XIII-2 and Lightning Returns never happened, because the game itself does not set the story up for a sequel, and very little of what happens in the game is really referenced later in the series. XIII-2 and Lightning Returns revolve mostly around Etro and Yuel, but deal very little with the actual journey of the l’Cie in Final Fantasy XIII. So on that note, I’m mostly going to be dealing with things I would have liked to have seen changed in the original game, though I will make some reference to how my changes my fit the sequels. This also means that I’m not going to spend too much time wondering about why in the world the developers chose to refer to an area in XIII-2 as “Archylte Steppe ?? ?” This seems to imply that the time period in which this happens is either before the fall of Cocoon or after the whole timeline has been fixed, but dialogue from the hunters indicates that it happens after the fall of Cocoon, and that the people who bear the same tribal tattoos as Fang are not in fact from the same tribe as hunters but just Cocoon citizens who reacclamated to life on Pulse. I’m also not going to spend too much time grinding my teeth at the fact that XIII-2 spends a lot of it’s time redeveloping areas from the first game, but completely leaves out many of them like Eden, the Arks, most of Gran Pulse, Nautilus, Lake Bresha, the second half of the Sunleth Waterscape, the Gapra Whitehood, and so on and so forth. But as you can tell, I have my issues with XIII-2 as well, which for the record most people believe to be superior to Final Fantasy XIII, but personally I think that it trades addressing everything Final Fantasy XIII got wrong for sacrificing all the things that it got right. Jihl Nabaat is a criminally underutilized character in Final Fantasy XIII. Her treatment in the story is baffling: we go through the process of setting her up as a character, even including her in the flashback sequences, set her up as a perfect antagonist to Sazh and build up resentment toward her, and then even include the perfect moment to fight her, and… she’s killed off. No fanfare, nothing. No one even mentions that she’s dead. Barthandelus throws a Ruin spell at her and she’s gone, just like that. Now, you might say that the fact that she is so important and is disposed of with such little interest by Barthandelus is precisely the point being made about how fal’Cie view humans as nothing more than tools. It does make an interesting parallel with Jihl, who herself sees other people as tools to further her own ends. But this is still bad storytelling. Barthandelus is the most cliche and uninteresting villain in the Final Fantasy series, and that’s in a series that includes such one-dimensional characters as Exdeath and Necron. Not only is he visually unappealing (I’ve seen him hilariously referred to as “the space pope”), but his dialogue and personality are incredibly one-dimensional and cliche. Also, his motives make no sense, but then, that’s a much larger problem within Final Fantasy XIII’s story. 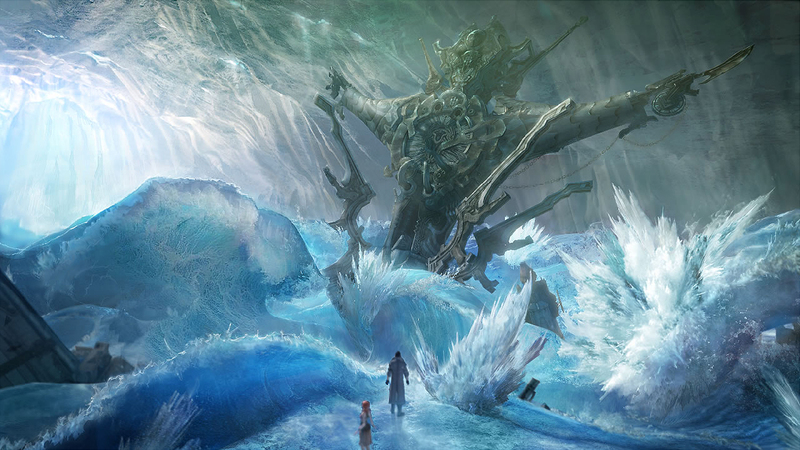 Most of Final Fantasy XIII’s story can be boiled down to: “the fal’Cie want the main characters to destroy Cocoon by killing Orphan, so the main characters rage against their fate and defy their masters by… destroying Orphan and dropping Cocoon out of the sky exactly like they were told.” Even more confusing is why the fal’Cie bother to fight the l’Cie and try to kill them at every turn: Barthandelus is working tirelessly to make the l’Cie choose to kill Orphan and thereby destroy Cocoon, so why is he also directing the entirety of the Sanctum’s resources at murdering them? You could say it’s a test of their power, but then, why does he also personally attack them several times? Why did he bother fusing with Orphan? What exactly IS Orphan anyway? Jihl is an interesting character because of how comically evil she is. She’s sadistic and seems to take immense pleasure is causing pain to others, and yet at the same time we can clearly see that she isn’t all bad. Her first introduction is a brief scene of her smiling at Sazh during the fireworks flashback. Even when she’s actively trying to kill Sazh, she always states her reasons clearly, and even sometimes makes compelling arguments. She honors Dajh’s sacrifice and says she’s going to have his crystal made into a memorial in Eden, without ever revealing the fact that his father was a l’Cie, so that Dajh can be remembered with reverence by the citizens of Cocoon. The thing that actually makes her interesting is how intelligent and well-spoken she is, and how she seems to be capable of surprising compassion for someone who so enjoys toying with people. She talks down to Sazh about Pulse l’Cie being “undesirables,” but she also treats him with some amount of respect, choosing to allow him the chance to get revenge on Vanille rather than having her soldiers shoot them. Even when she strikes Sazh and knocks him out, she doesn’t do this until he becomes uncontrollable with rage. Really the thing that confuses me the most about the treatment of Jihl’s character is that it doesn’t make any sense from a storytelling perspective. They went through all this trouble to set Jihl up as a primary antagonist, she’s even in a fully animated FMV sequence, and then they kill her with no fanfare. In fact, it honestly feels like they purposely cut out a boss fight with Jihl for some reason. Right before Barthandelus kills her, Jihl leaps down onto the platform in front of the l’Cie and draws her weapon, and the party gets ready for a fight. There could have easily been a sub boss fight here with Jihl, and then the next scene of Barthandelus killing her could have gone on the same. I wish that Jihl had turned out to be Orphan in disguise. We know from Barthandelus that fal’Cie have the ability to disguise themselves as humans, and we know that Orphan is ultimately the central power behind Cocoon. If Orphan is really the one at the center of this plan to use Cocoon to summon the Maker, why wouldn’t Orphan choose to disguise itself as a human and walk among them, monitoring the actions of Barthandelus by pretending to be his servant? How great would it be if Lightning and her allies stormed into Eden and Barthandelus appeared on the steps before them in the area where you fight the Adamantoise, and rambled on about how they’re nothing but puppets doing his bidding, and then from behind him came a blast and standing over his body, with her rod in hand, was Jihl, who reveals that she’s been using everyone from the beginning. The game even SETS THIS UP. She talks about using people as tools, doesn’t she? What better way for her to do that? Jihl could transform into Orphan for the final boss fight, and the rest of the game could play out exactly as it did. If this idea seems too weird to you, let her be Eden instead. Eden is just another fal’Cie like Barthandelus who would have all the same reasons to keep a close eye on him, and the final confrontation could easily switch out Jihl for Barthandelus. After transforming into her fal’Cie form and being defeated, she could fuse with Orphan and become the final boss, the same way Barthandelus did. I mean, the weirdest thing about Barthandelus being the central antagonist is that we don’t know anything about him until he reveals himself on the Palamecia, meanwhile we’ve had the whole game to get to know Jihl. I won’t delve too much further into this, but Final Fantasy XIII actually has a big problem with not utilizing it’s characters. Raines, Rygdia, Jihl, and Amodar all go mostly unnoticed, despite having thought and care put into their development. Throughout most of Final Fantasy XIII, Vanille’s defining characteristic, apart from her optimistic bubbly personality, is that she’s a liar. She prances around smelling the flowers in an attempt to hide the dark secrets she possesses. Vanille is the fulcrum on which the entire story of Final Fantasy XIII revolves: she chose not to fulfill her focus and become Ragnarok, leaving Fang to do it on her own, resulting in Fang not being strong enough to do anything more than breach Cocoon’s shell. They should have both become C’ieth, but as she so often does in this universe, Etro felt pity for the two of them and intervened, allowing them to enter crystal statis anyway and placing them within the Pulse Vestige with Anima, to be kept safe until they reawakened. There’s a lot about this story that just doesn’t add up. We’re never given much of a glimpse into what Vanille and Fang’s life was like on Pulse. We only get a few mentions of what life was like in Oerba, and the leftover photographs and housewares inside Vanille and Fang’s house, or her robot friend Bakhti (also known to me as The Cash Machine). There is one brief moment which shows Vanille living on Pulse, and it’s during the opening credits movie, but even then Cocoon still has a hole in it’s shell, so it’s possible that this scene is depicting Vanille on Pulse after returning with Lightning and the gang. Also, Etro becomes an important figure later in the Lightning Saga, but during Final Fantasy XIII she’s mostly left enigmatic, known only as “The Goddess,” and she seems to have a penchant for intruding on history at inopportune moments, resulting in more death or the corruption of the timeline. Why did Etro choose to intervene when she did? If Etro presumably knew that Fang couldn’t breach Cocoon on her own, why did she wait until after she’d tried and failed to intervene and put Vanille and Fang into crystal sleep? Also, we’re told that Fang slept in crystal for five hundred years alongside Vanille, but we never see Fang in crystal form, when Vanille awakens Fang is already asleep on the platform beneath her. How exactly does this whole Focus thing work? We never learn which fal’Cie it was that gave Vanille and Fang their focus to destroy Cocoon, or why exactly that was the focus they were given. If the C’ieth stones are any indications, the majority of fal’Cie only made l’Cie to do trivial things like destroying particularly nasty monsters or C’ieth who refused to die. And, if Vanille and Fang failed in their Focus, why didn’t they turn into C’ieth? I know the answer is that Etro intervened, but how does that work exactly? Does the fal’Cie who gave the l’Cie a focus get to decide whether or not their thrall turns to crystal or into a C’ieth, and does the authority of one fal’Cie usurp the authority of another? Did they actually become C’ieth and then Etro intervened to turn them human again and put them in Crystal? Who woke them up? Why did they awaken from their crystal sleep when they did? What happens when the fal’Cie who makes you into a l’Cie dies? We know that Anima died right before making Lightning and her allies into l’Cie, but that didn’t stop their focus. If a l’Cie who completes their focus going into crystal stasis, who gets to wake them up and give them a new Focus if the old fal’Cie master dies? Really, this is a rabbit hole of questions that can go on and on forever. Concerned with clear storytelling, Motomu Toriyama is not. I think that it would be an interesting twist is Vanille herself is the Goddess of Death, Etro. We know that fal’Cie can take on human form, and surely a goddess would have that power. Now, there are holes in this idea: we know Etro is stuck in the unseen realm and can’t return because she was banished there by Bhunivelze, but still, there are a lot of things that would make more sense about Vanille if it turned out she herself was Etro. Vanille is the only party member with the ability to cast the Death spell, and though that does have some connections to her character, it is odd that of all the characters it would be Vanille with this devastating ability that works on almost every single enemy in the game, including the final boss. Vanille is seen making a sign with her fingers and offering prayers to the heavens many times, what if this were the sign of the Goddess? What if she were actually trying to work some kind of magic when she did that? And why is Vanille narrating the story? 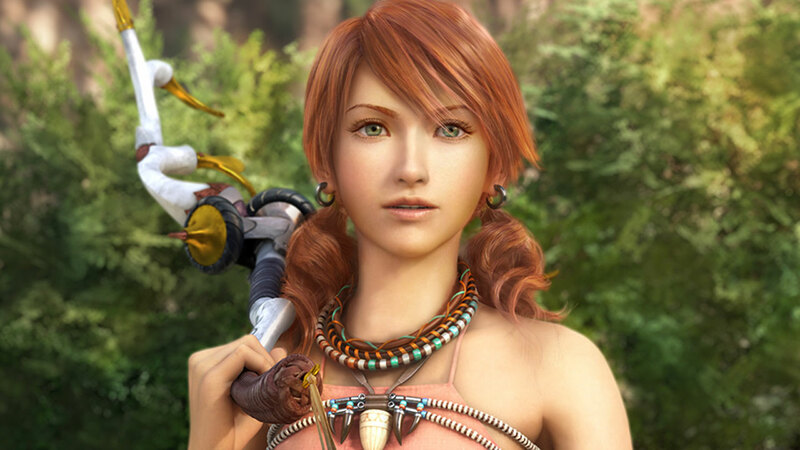 From a development perspective, there are explanations: Vanille was initially conceived as the central character and was going to be the game’s primary protagonist, but after showing off Lightning in a promotional video and receiving positive feedback from fans, Lightning was made the central protagonist of the game. For the record I think this was a good move. But Vanille is narrating the entire story of the game, seemingly from within her crystal sleep in the pillar holding Cocoon. She and Fang even speak directly to Lightning and the others at the end after they’re freed from crystal. If Etro is the one who intervened and freed them from crystal, why couldn’t it have been Vanille who did it? Also, what exactly is the significance of becoming Ragnarok? It’s repeatedly stated that ONE of the l’Cie must become Ragnorok, but both times Fang attempts to do it on her own, she isn’t strong enough. Is this an ability they all inherently know? Vanille and Fang do it effortlessly in the end and it’s presumably because they’ve been down this road before and know what they’re doing, but is this is a power that can be used any time? As usual, not much is explained. Vanille being Etro would continue to make sense as the series progressed. Vanille is somehow capable of seeing into Serah’s dream world and calling her out of it, and Serah’s dream world is within the Unseen Realm, Etro’s domain. During Lightning Returns, Vanille inexplicably has the ability to speak to the souls of the dead and guide them to the new world. No one ever even attempts to explain why she has this ability. Again, I know this pokes holes in the central plot of the three games, but still, I think it would have been a much more interesting twist to have Vanille turn out to be Etro herself, intervening physically as well as magically in the events of the world to try and stop the death of innocent people. Vanille lies so frequently that she even comments she can’t remember which events are truth or lies anymore. She outright lies to Hope and tells him that he promised to come and see Gran Pulse with her. I actually like the idea that maybe if Vanille were Etro, she could see alternate timelines, and in one of those, Hope did promise to come and see Gran Pulse with her. Either way, Vanille spends much of her time lying to others, even if she does it with good intentions. If Vanille is such a capable liar, couldn’t she be lying about her identity too? I’m not the only Final Fantasy XIII fan to be baffled by the development choice NOT to make Titan the game’s superboss. Instead the superbosses are the final C’ieth stone mission and the Long Gui. Titan is a very prominent figure on Gran Pulse: he’s always seen walking around just beyond the mountains, no matter where you are on the plains. There’s a series of C’ieth stone missions revolving around running a gauntlet for his amusement and showing off your strength to him. He creates mist that causes power C’ieth to appear, and he even speaks briefly to the party. We also know that he’s a fal’Cie, and the characters in Final Fantasy XIII never met a fal’Cie they didn’t want to kill. It just seems obvious that Titan would be the game’s optional superboss. It even seems to imply that he would be, considering several of the C’ieth stone missions are done specifically at his behest, or in his area of the world. It would make sense that fighting him is the ultimate prize for completing these missions. But alas, nothing. And even stranger is the fact that never appears in the Lightning Saga. Atomos actually reappears in Lightning Returns, sleeping in the Dead Dunes. This conflicts with the widespread notion in Nova Chrysallia that Pandemonium is the only living fal’Cie, because Atomos is clearly still alive and hasn’t become a crystal, but nonetheless, there he is. If Atomos survived, why didn’t Titan? Especially when massive juggernatus like Atlas seem to mirror his design. Surely he’d have been involved somewhere within the side-story of these huge creatures? 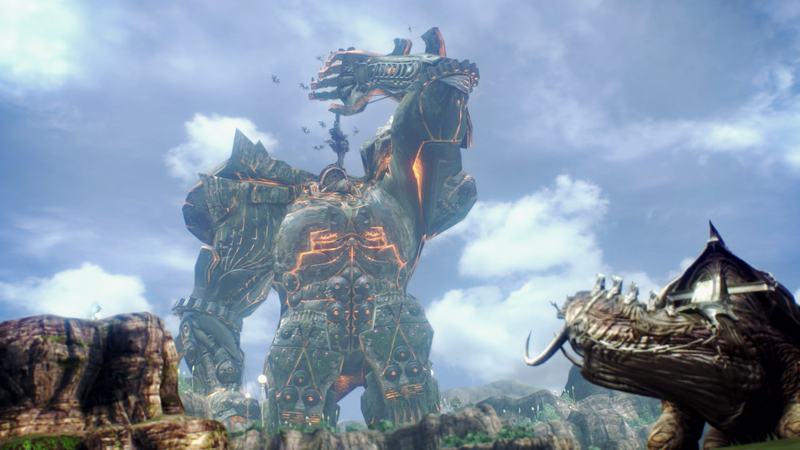 Is the Atlas included in the second game a re-skinned version of a planned Titan superboss that never made the final cut? Really, every time I see him on the Archylte Steppe, it’s like the game is just rubbing my face in the fact that he isn’t available to challenge. 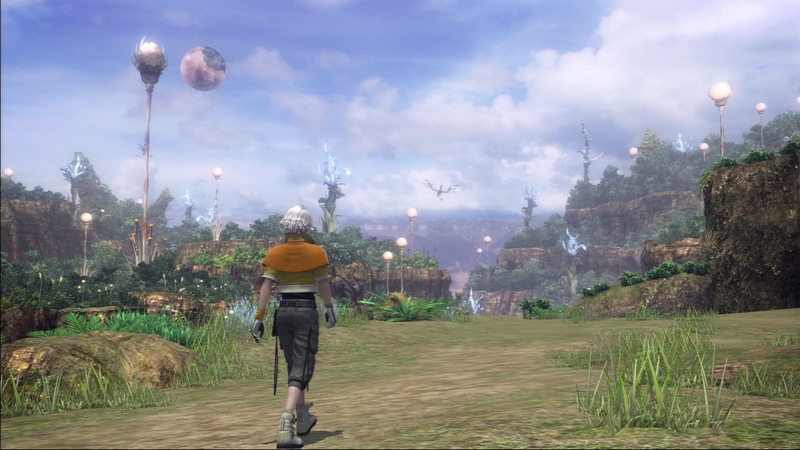 Everyone, including Vanille and Fang who are natives and presumably understand a lot of it’s history, wonder where the hell all the people on Gran Pulse disappeared to. It’s brought up a few times with confusion, and then never addressed again. We know that the War of Transgression took a huge toll on both Pulse and Cocoon, but Gran Pulse is literally the entire planet, and there doesn’t seem to be one surviving human anywhere. We even see the ruins of Paddra, which indicate that it was a very modern, technologically advanced city, because it’s ruins include cars and traffic lights. The world is filled with C’ieth stones, and it’s never addressed whether or not these C’ieth stones are the remains of the humans who lived on Pulse after the war. Did the war take such a massive toll on human life that only a few survived, and then those few all eventually became C’ieth? Why is there not a single l’Cie on Pulse who fulfilled their focus and turned to crystal? We never learn the answers to these things. Even weirder is the fact that in Final Fantasy XIII-2, Hope and the Academy set up shop in the ruins of Paddra and launch an investigation into it’s history, but they only bother researching it’s ANCIENT history, learning about the Seeress who led the city. They never bother trying to learn what it actually was that leveled the city and left ruins behind. Three games and still the plot-holes left in Final Fantasy XIII are never addressed, we’re just given new plot-holes to contemplate. It is standard in any RPG that once you reach a certain point in the game, you have the ability to revisit previous locations and unlock new secrets. Now sure, most of the previous locations in Final Fantasy XIII are straight corridors, but even so, I wouldn’t mind going down those corridors again if they contained new challenges, opportunities and treasure. One of the most glaring problems with Final Fantasy XIII is the lack of opportunities to make money, well why not have some C’ieth stone missions scattered throughout the areas you’ve already passed through? It wouldn’t be very difficult to just replace the PSICOM soldiers with some of the monsters from Pulse and throw in some C’ieth along the way. I know, it wouldn’t make much sense that there were C’ieth all over the place on Cocoon, but it the fal’Cie had no problem turning the Cavalry into Sacrifices, surely they could be persuaded to do it elsewhere on Cocoon. It would also be a great way to earn more money. In Final Fantasy XIII, literally your only source of income at the end of the game is to farm Sacrifices for Perfume or farm Adamantoise and their kids for Gold Nuggets and Platinum Ingots. Even if you LIKE fighting an endless parade of Adamantoise, this is still lazy development. As usual with Final Fantasy XIII, they don’t utilize their resources. 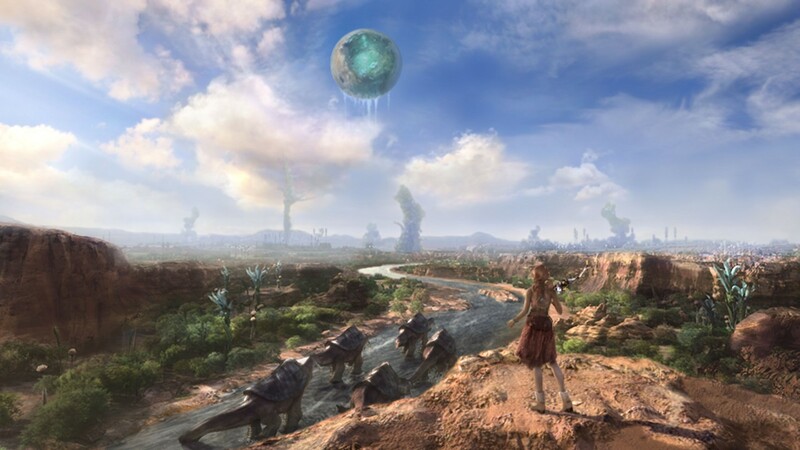 Even if stomping back through the Vile Peaks and fighting new monsters wouldn’t be incredibly fun, it would at least be more fun than fighting the same monsters on the Archylte Steppe over and over again to grind for Crystarium Points while you prepare for C’ieth stone missions. Slap some Perfumes or Incentive Chips onto the monsters in previous locations and put them on a higher level and bam, you’re ready to roll. And there you have it. These questions have been rolling around in my head for a long time, and there are always more. But for some reason, despite all the glaring flaws in Final Fantasy XIII, I keep coming back to it. Some detractors would call that “a dog returning to it’s vomit,” I call it being in a codependent and possibly abusive relationship with Square Enix.